Willow River State Park – Hudson, WI – Varied habitats to explore, views of Willow River waterfall and gorge can be enjoyed from several trails. Common species include: Henslow’s Sparrow, Yellow-rumped Warblers and Meadowlarks. The 2,891-acre park offers approximately 21 miles of hiking trails. The park is located five miles north of Hudson, WI. The centerpiece of the park is Willow Falls, a powerful cascade in a 200-foot deep gorge. Another popular feature is Little Falls Lake, a shallow reservoir on the Willow River. 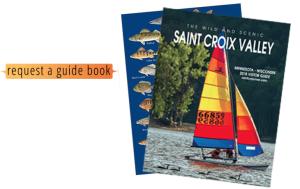 Located in Hudson, WI., the park offers a trout stream, sand beach, prairie remnants, a nature center and campsites on rolling countryside with the Willow Falls and Willow River Gorge.